The Swedish government has decided that Sweden shall be one of the world’s first fossil-free welfare nations. By 2045, no net greenhouse gas (GHG) emissions are to be emitted to the atmosphere, and, by 2030, the vehicle fleet shall be independent of fossil fuels. Bioenergy is considered critical in reaching these goals. Currently supplying ca. 23% of the total primary energy demand, bioenergy is already an important part of the Swedish energy mix. Perennial lignocellulosic crops, such as willow (Salix spp. ), are considered attractive options since their production requires less energy, and has less of a negative environmental impact compared to the production of annual crops such as sugar beets, rapeseed, and wheat. Willow species are characterized by fast growth, large biomass production potential, limited pest problems, high genetic diversity, short breeding cycles, and high resprouting capacity, i.e., ability to produce new shoots from the same stump after harvest. Willow has been grown commercially for bioenergy in Sweden since the 1990s. While the cultivated area is small, ca. 10,000 ha, Sweden is at the forefront of commercial willow plantations for bioenergy. Plantations are typically managed as short-rotation coppice, i.e., multiple harvests and regrowth from the same stump. So far, willow production has provided solid fuels for heat and power generation but may in the future also provide feedstock for production of liquid and gaseous fuels. Several energy analyses of Swedish willow production systems for bioenergy have been made before but few studies have investigated how different levels of fertilization with mineral nitrogen (N) affect the energy performance. In this study, published in the journal Renewable and Sustainable Energy Reviews, researchers from Chalmers University of Technology, Sweden, the Swedish University of Agricultural Sciences, and Henriksson Salix AB provide a detailed and up-to-date energy analysis of willow production for bioenergy in Sweden. The study assesses the average annual net energy yield, and the ratio between the gross energy yield and the total primary energy input, for well-managed current commercial Swedish willow production systems with three different levels of fertilization with mineral N: no N fertilization (N-zero), a medium level of N fertilization (N-medium), and a high level of N fertilization (N-high). The study finds that the average annual net energy yields are 175, 133, and 86 GJ ha-1 yr-1, and the energy ratios are 19, 32, and 47, for N-high, N-medium, and N-zero, respectively. That is, for every unit of primary energy input, the willow systems yield between 19 and 47 units of primary energy in the form of biomass. Higher net energy yields and energy ratios correspond to better performance from an energy point of view. N-high has the highest net energy yield but the lowest energy ratio, while N-zero has the highest energy ratio but the lowest net energy yield. In other words, N-high, corresponding to intensive production, is the most productive but least energy efficient production system, while N-zero, corresponding to extensive production, is the least productive but most energy efficient production system. The total primary energy inputs correspond to ca. 2, 3, and 5% of the gross energy yields for N-zero, N-medium, and N-high, respectively. N fertilization (production and application) dominates the total primary energy input for N-high (67%) and N-medium (42%), with production accounting for 99% of the total energy inputs associated with N fertilization in both cases. The second-largest primary energy input for N-high and N-medium, and the largest for N-zero, is transport. In all cases, the transport of wood chips to the bioenergy-conversion site dominates the energy input associated with transport, followed by the return of the empty wood-chip truck from the bioenergy-conversion site to the willow plantation and the transport of machines to the plantation. While the studied production systems depend on the use of several machines and implements, their embodied energy contributes <4% of the total primary energy input in all three cases. The results indicate that there is a trade-off between achieving a high net energy yield and achieving a high energy ratio since N fertilization increases biomass growth but also contributes significantly to increasing the total primary energy inputs. The gross energy yields are more than 100 and 50% higher for N-high and N-medium, respectively, than for N-zero, while the total primary energy inputs are more than 5 and 2 times greater for N-high and N-medium, respectively, than for N-zero. General conclusions about the superiority of any specific case or level of fertilization are not supported by this study. If land is the limiting resource, then a high net energy yield may be considered more important than a high energy ratio. In that case, the N-high system would be the most attractive option (disregarding other potential impacts, such as eutrophication due to N leakage). Conversely, a low-input system with a higher energy ratio (N-zero) may seem preferable if access to energy is more limited than access to land. Since the total primary energy inputs correspond to just a small percentage of the gross energy yields, and the amount of arable land is limited, it might be considered more important to strive towards achieving high net energy yields than high energy ratios. Policy instruments can be used to steer the production in the desired direction. The outcome of energy analyses, such as this one, can inform participatory processes engaging landowners, policy-makers, and other stakeholders in further developing and redefining goals and plans for biomass production in a broader landscape-management context. Willow yields and energy inputs associated with N fertilization and biomass transport were identified as important determinants of energy performance. Current developments in the transport sector suggest that major improvements in fuel-use efficiency are possible. In addition, improvements in logistical planning and driving patterns can also contribute to reducing the energy inputs associated with transport. 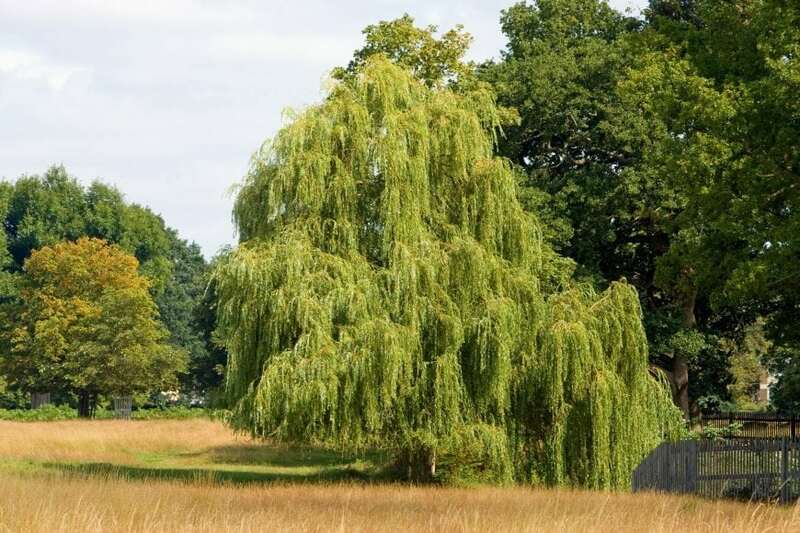 Energy performance can also be improved by using high-yielding willow clones, which are better adapted to the local climate and more responsive to fertilization. Willow has been bred in Sweden since the late 1970s, and Swedish plant breeding programs have already contributed to increasing the average yield by about 50% compared to previously grown varieties, and further improvements are possible. Performance can also be improved by reducing the energy use in ammonia production, which varies greatly depending on process technology and energy feedstock. The next generation of ammonia plants are based on either a high-temperature nuclear reaction or a solid state ammonia synthesis, both of which are powered completely by electricity and can hence be made carbon neutral. Ammonia production using electricity from renewable energy sources also offers interesting opportunities for the future. This study is based on a detailed and thorough review of management operations and energy use in Swedish willow production systems. The system boundaries include the primary production of energy carriers and material inputs, field management operations and transportation of wood chips to the bioenergy-conversion site. The energy embodied in agricultural machines and implements (plows, harrows, etc.) is also included. Predominantly empirical data, collected from a wide range of published sources as well as experts, are used in the assessment. These findings are described in the article entitled Energy analysis of willow production for bioenergy in Sweden, recently published in the journal Renewable and Sustainable Energy Reviews. The work was conducted by Maria Nordborg and Göran Berndes from Chalmers University of Technology, Sweden, Ioannis Dimitriou, Blas Mola-Yudego and Håkan Rosenqvist from the Swedish University of Agricultural Sciences, and Annika Henriksson from Henriksson Salix AB, Sweden.